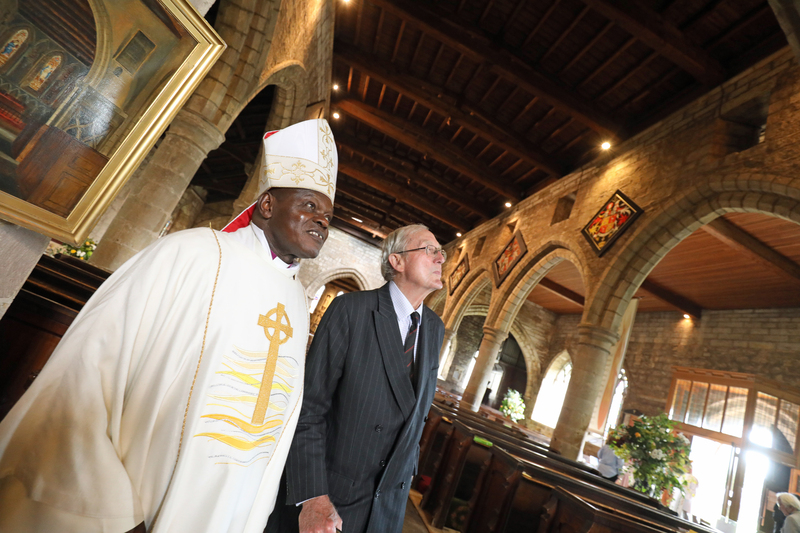 The Archbishop of York, Dr John Sentamu yesterday joined the congregation and friends of St Aidan’s Church in Bamburgh to lead and preach at a service of Holy Communion and rededicate two newly restored hatchments. The restoration follows a successful appeal for help to repair and conserve the historic items. The two restored hatchments date from the 1700s and are in memory of Sir William Forster and Thomas Forster. A hatchment is a coat of arms painted on canvas and surrounded by a broad black-painted wooden border, often hung over the door of a person of distinction who had recently died. After a period of around six months it was moved to the local parish church and hung high on the wall to remind the congregation to pray for that person.